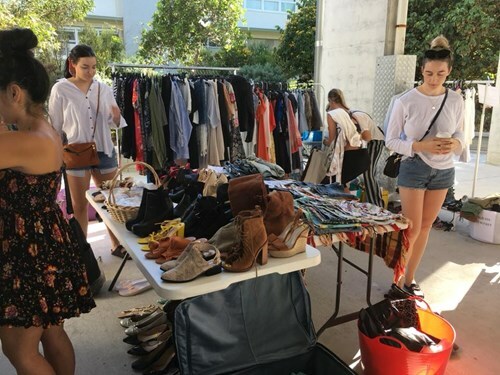 GOLD COAST FASHION MARKET WEEKEND - MAY! This is the BEST way to convert your closet to cash! 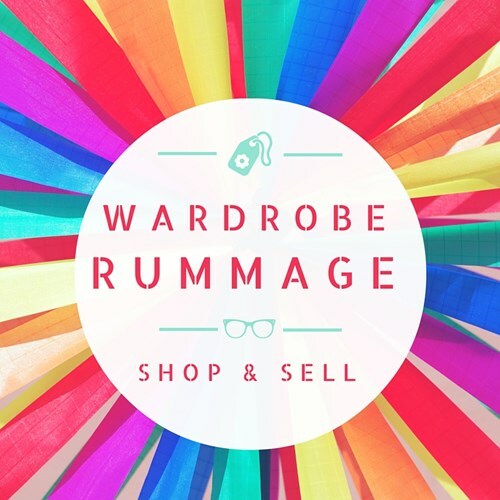 You are also welcome to sell: mens and kids clothes, books, plants, candles, crystals and more! Makers and creators are welcome to join us! 1) Book and pay for your sellers stall here now. Be quick so you don't miss out! You can share your stall with friends and split the cost. This is a two day event, so please make sure you choose the day you want - Sat 25 May or Sun 26 May. WET WEATHER PLAN: This event goes ahead if there's rain. However, if the rain heavy accompanied by hail or thunderstorms, we will postpone the event for a future date. If we postpone to another day, your sellers ticket will be transferred to this event. If you can't make the new date, you are able to transfer your ticket to a friend, so please just let us know the details. No refunds will be given if the event is rescheduled, to either another date or another venue for any reason. SELL: As a Seller, you will be allocated a stall space, either undercover or outdoors depending on which ticket you buy. 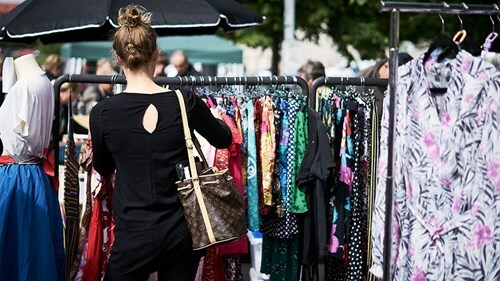 Set up your area with suitcases, tables, racks, signs, mirrors, lollies and anything else that creatively presents your clothes, shoes and accessories to sell. You will be able to rent racks ($20) from us leading up to the event if you want. We will email you the week of the event with all set-up details and links to hire racks. We only have limited quantities of racks so there is a possibility you may need to source your own if we run out. You may not sell food or drink without prior written approval from the organisers. WHO CAN SELL? Everyone is invited to come and set up shop on the day. Guys, girls, teens, adults, e-boutiques, creators and makers are all welcome! DETAILS: We will email you the week of the event with details for how to rent racks and step-by-step info about setting up and selling on the day. **REMEMBER, you are allocated a space before you arrive on the day. Undercover stalls will fit one table (provided) and two 1.8m long racks. Outdoor stalls are 3m x 3m. If the event is to be cancelled by the organisers/venue for any reason, another day will be chosen for the event and tickets will be transferred to that new date. You may be given an option for dates to transfer to. If you cannot make these dates, you can transfer your ticket to another seller. No refunds are given in the event you cannot make a rescheduled event. Please bring tables and racks and anything else to display your items (or you can rent racks from us, we will email you details the week of the event. Racks are $20). Undercover stalls include a table. Please bring a marquee or umbrellas to set up if you have an outdoor stall (we do not have marquees or tables available to rent, so please make sure you organise in advance). You are not required to bring a marquee. Customers can use the toilets as change rooms if you let them, so bring a clip board, pen and paper to keep a list of people who are trying on your items. You can ask shoppers to leave their credit card or drivers license with you to make sure they return the items. Bags for your customers to put their new clothes in, start collecting and keeping now! No single use plastic bags as per the NEW LAW! You can rent racks ($20) from us. We will send you an email the week of the event with all set-up details and links to book your racks (no tables available). You can bring as much as you can fit in your stall! Please remember to leave room for your customers to walk around inside your stall.